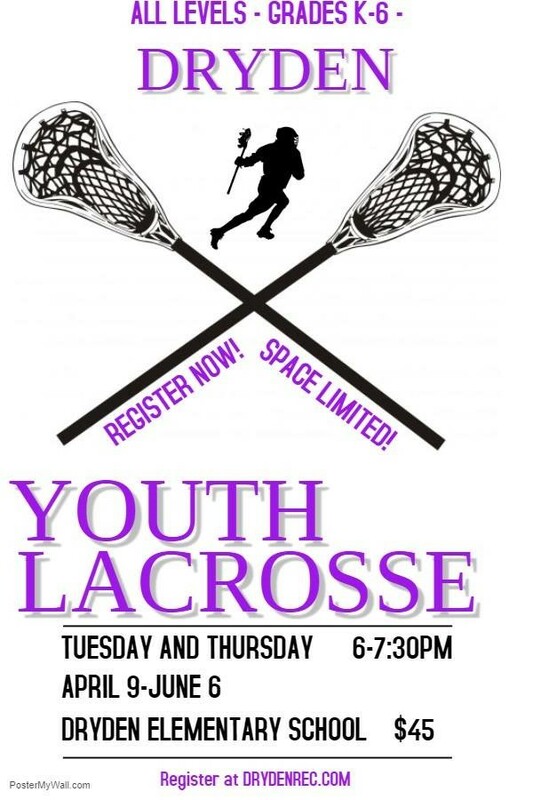 Time to sign up for Dryden Youth Lacrosse. 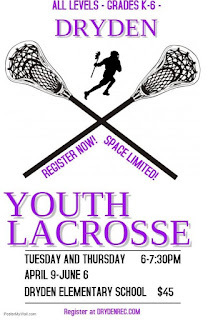 The 19th season that Dryden Recreation has offered Youth Lacrosse. At Dryden Elementary School - SPACE LIMITED – Register Now!